This isn't young Guts, it's from episode 290 in volume 33. That Zodd looks amazing and I love the pose of Guts also! Awesome job! This is the best Gutts i've seen - by far! It's obvious that the sculpt is really great,put the pose bought me the most (i see i'm not the only one :)),i really like how Gutts profile looks,i think you nailed it. I don't know which one you sculpt better, Gutts or Zodd,but i like Gutts just a little more,i think it's because of the pose as I said earlier. The armor is looking awesome too. I wish i could take a look some of the older images /renders you posted and that aren't online anymore, but I can clearly see the progress you made by time. Keep up the good work! That looks great, man! Keep up the amazing work. Man this looks awesome, are you going to add Ivalera to it as well? and please tell me it'll be in 1/6th scale. 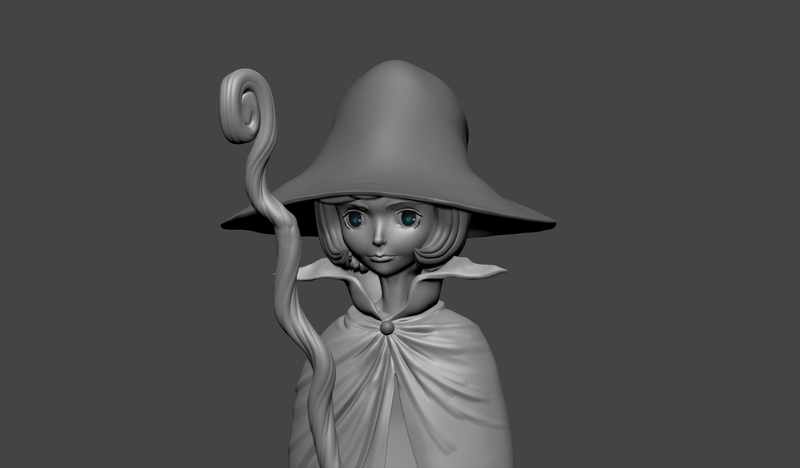 Schierke looks great and I like the pose you chose to do! And wow this is looking SOOO GOOD. It's exactly like the manga. Perfect. If there is a way, the only thing I'd ask is if you can make it to where the bird on to of her head to be removable would be awesome. 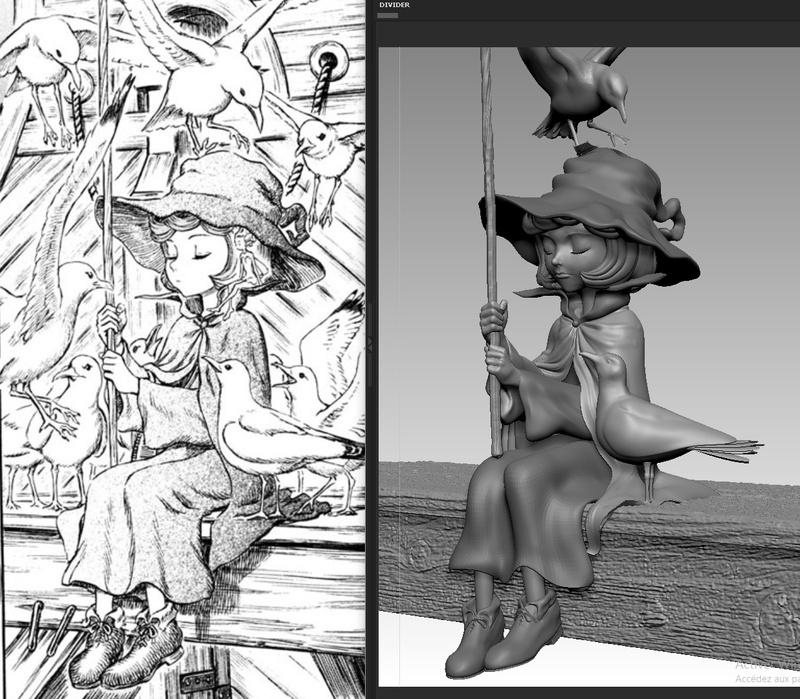 I was more than impressed by your work with Schierke, but I'm astounded by the level of detail you put into Ivalera, despite how small she is in comparison to the rest of the model. Mmh why not. I'll think about it but I have to say I actually like that bird. It shows the mental state and focus she seems to be in. 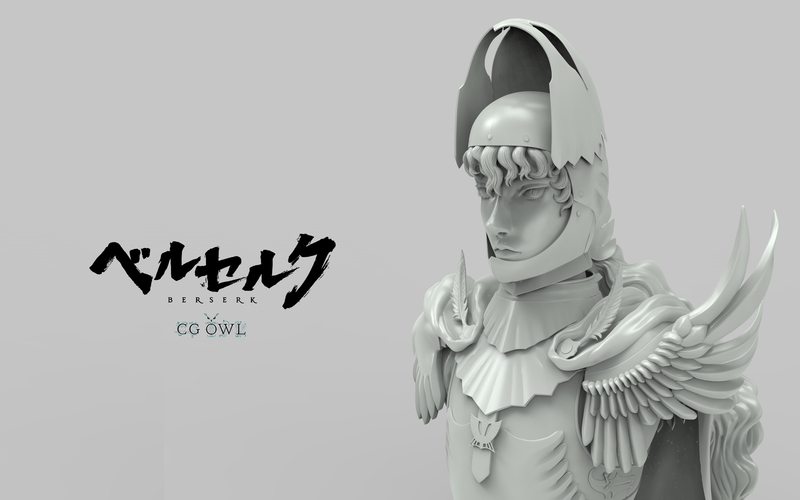 Anyways, here is a little teaser of my upcoming second bust. It will come with 2 heads, with and without helmet. It will be possible to lift the visor, same as in this 3D preview. Wow. looks great, Theoden! Nice feature with the movable visor, too.